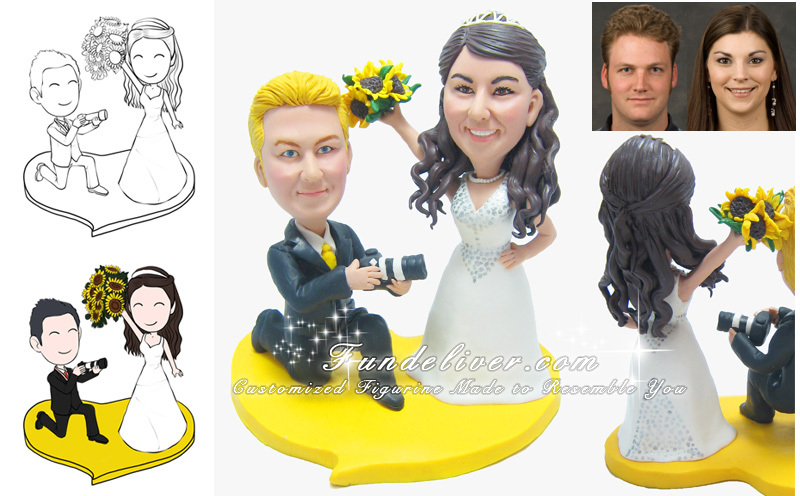 This is a completely customized photographer theme wedding cake topper ordered by one of our customers. They want the groom to be in black tuxedo and bride in a dark-silver-colored polka dot gown. 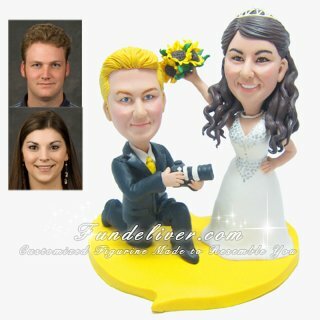 Groom is kneeing down, making a shooting pose and bride is striking a pose with one arm up in the air with bouquet yellow sunflowers in hands. For the platform, they love a yellow curved heart shape one to match their wedding color.